The 65 foot long fishing vessel Challenge sank at New Bedford, Massachusetts. The vessel had sunk by the stern during the early morning hours releasing diesel fuel and lube oil into the water. 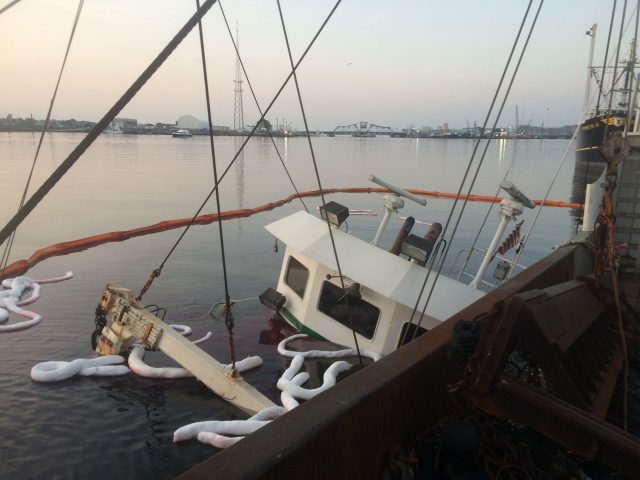 A tugboat alerted authorities of the sunken fishing vessel and the pollution release. 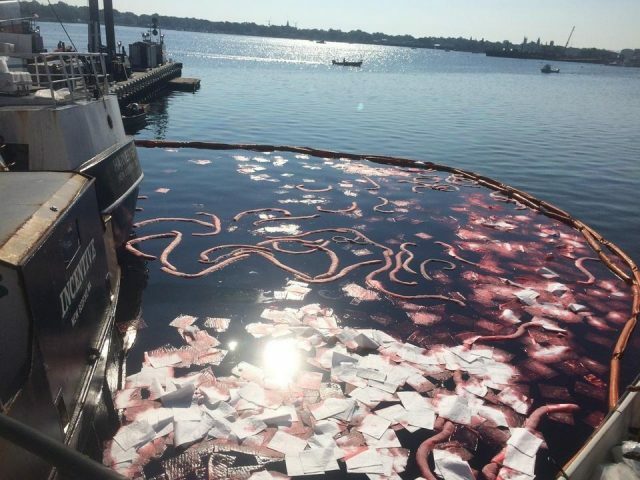 Authorities placed booms around the Challenge and used absorbent pads to collect as much pollution as possible within the booms. Reports state the diesel slick reached some 1.5 miles into Fairhaven. No reports of injuries. 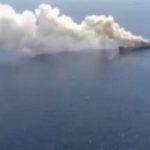 On August 13, the 190 meter long, 56598 dwt bulk carrier Cheshire exploded and caught fire in the Atlantic Ocean near Gran Canaria, Canary Islands. 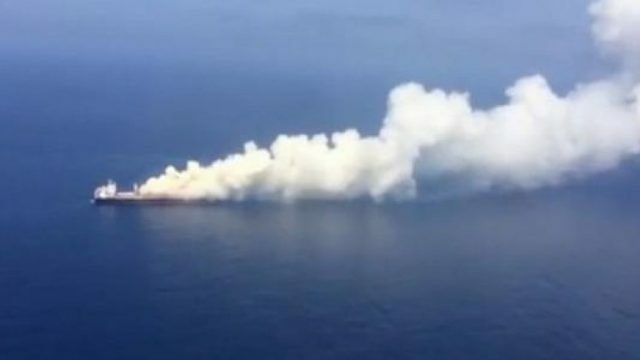 The Cheshire was headed for Thailand from Norway with 40,000 tons of ammonium nitrate when the crew was alerted there was a fire in the cargo holds. 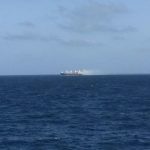 The vessel wanted to divert to Las Palmas on Canary Island, but authorities at Las Palmas refused entry of the bulk carrier. They were concern of the possible explosion in the harbor like that of the SS Grandcamp in 1947 in Texas City. When that vessel’s cargo of 960 tons of ammonium nitrate exploded, it destroyed some 1000 buildings and killing over 450 persons. The Cheshire was loaded with more than 40 times more than the SS Grandcamp and was ordered to stay offshore. On August 14, authorities had their caution confirmed. The ammonium nitrate had exploded in Hold No. 4 on the Cheshire followed by several smaller explosions. A fire burned in the hold spewing out dense smoke. With the situation becoming increasingly dangerous, the 24 crew on the Cheshire abandoned ship being evacuated by two rescue helicopters. The next morning found the Cheshire still burning, but afloat. 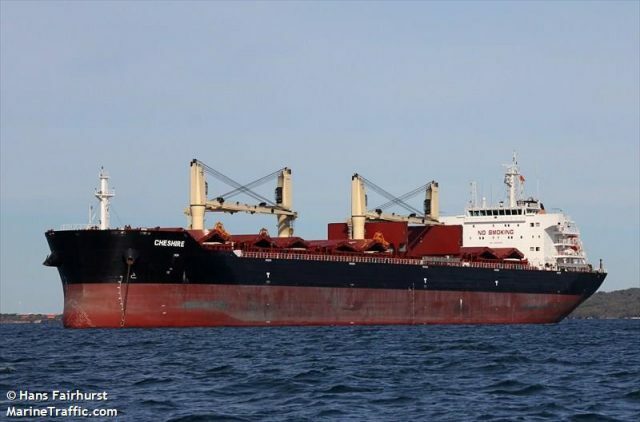 The bulk carrier’s owners had considered scuttling the Cheshire, but changed their minds. With Salvors nearby, the owner’s planned to extinguish the blaze and tow the bulk carrier back to port. A salvage vessel along with a tugboat were dispatched to monitor and assess the situation. 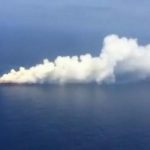 The latest reports stated the Cheshire continues to spew out smoke from the cargo holds, but there were no flames or visible fire. The hatch cover over cargo hold No. 4 was damaged and there was still intense heat coming from the hold. Salvors will attempt to cool the hold with water before towing the bulk carrier to port.